Massachusetts Senate candidate, businessman V.A. 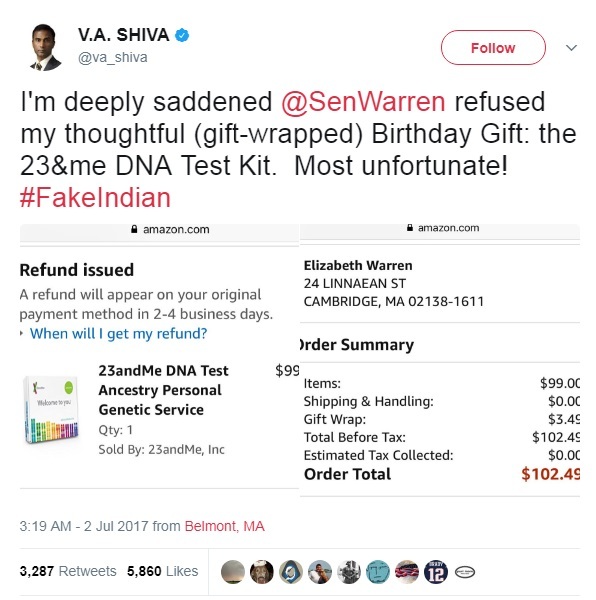 Shiva Ayyadurai, who is running against Elizabeth "Fauxcohontas" Warren for her U.S. Senate seat posted hilarious screenshots of a birthday gift for Warren he purchased online. Lizzy turned 68 in June. 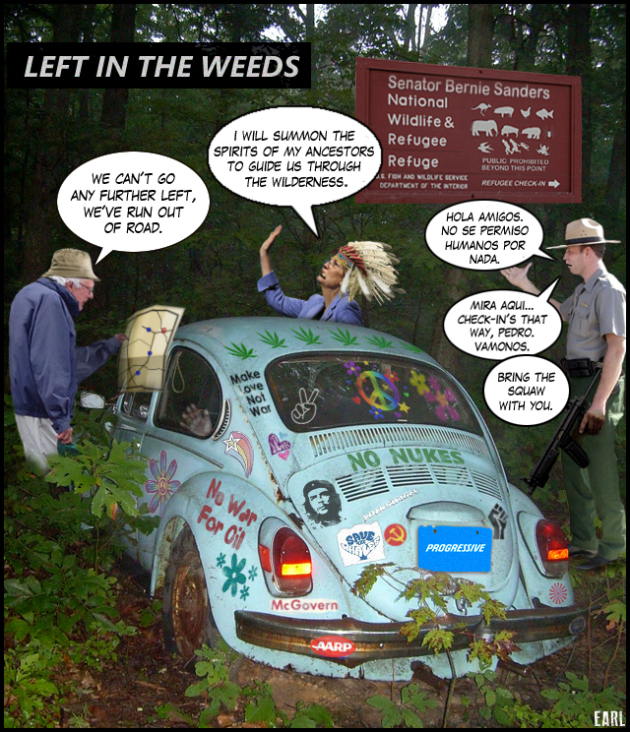 Ayyadurai, who is of bonafide East Indian decent, is running on the slogan: “Only a real Indian can defeat the fake Indian.” Senator Lizzy was not amused and refused to take a DNA test mailed to her by Ayyadurai. The Boston businessman and inventor V.A. Shiva Ayyadurai is the real deal. Ayyadura received a Ph.D. and his undergraduate degree from the M.I.T. Thanks to her exploitation of her phony minority status, Senator Lizzy, who graduated from Rutgers Law School was hired as a professor at Harvard Law, where she was listed as a “woman of color” and taught one class for a $300,000 salary, benefited from affirmative action hiring programs that should have benefited ACTUAL Native-Americans. Hypocritical Progressiveness at it's best. We Thank You MJA for the Linkage!